Effective relief of pain and inflammation, prevents inflammation. Treatment of rheumatic lesions and post-operative. With hand pump to regulate the impact pressure on the skin. Inside is a thick gel that keeps freezing cold for 30 min. Hygienic and easy to disinfect. Indications: arthritis, rheumatism, bursitis, capsulitis, strains, sprains, fractures, etc.. 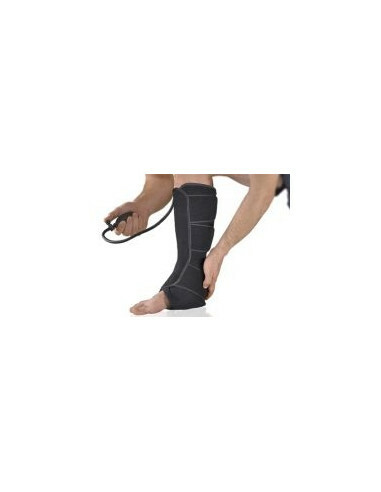 Effective relief of pain and inflammation, reduces swelling. For the treatment of sports injuries and rheumatological conditions, including in post-operative. With hand pump to regulate pressure. Contains a thick gel that keeps cold enough time once frozen. Fits any joint due to practical adhesive closure.